In the past SeaMax needed a place into an hangar and took off from a runway. But not many people can have such facility. Now SeaMax Easy is not only easy to fly in the air, easy to operate on land and water, but also easy to transport on the road. Just fold the wings, it takes only 10 minutes, and load it on a trailer like a boat before transporting it to your garage. 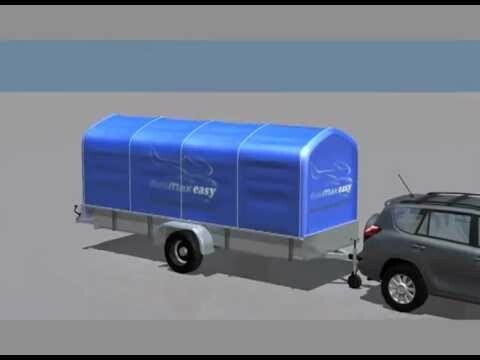 The trailer is covered and closed for better protection of your amphibious.